One of the oldest buildings in Windhoek with its cornerstone laid in 1890. The Alte Feste served as military headquarters until 1915 and then as a hostel for the Windhoek High School up to 1935. 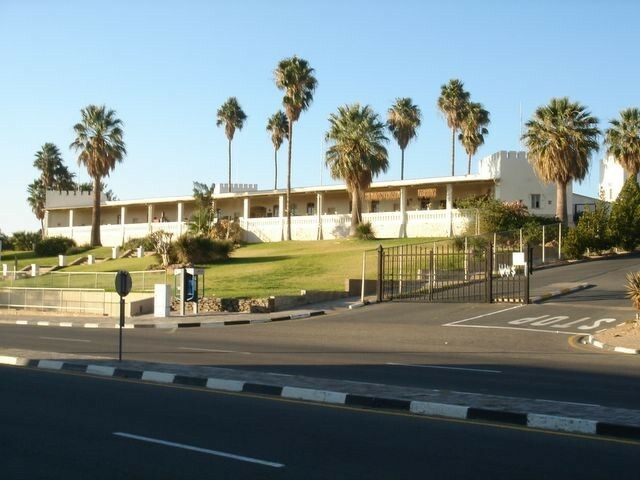 It now houses the State Museum, where the historic Independence Collection reflecting events leading up to the independence of Namibia can be viewed. It was declared a national monument in 1957. Willem F Kotze wrote : "The building was designed by Captain Curt von François to serve as headquarters of the imperial German Schutztruppe (colonial military force) during German colonisation of South-West Africa. The location of Windhoek, which was deserted and completely destroyed at that time, was chosen because the Germans felt it would serve as a buffer zone between the Nama and Herero tribes. The fort was, however, never involved in any military action. The foundation was laid on 18 October 1890 by then Schutztruppe private Gustav Tünschel."